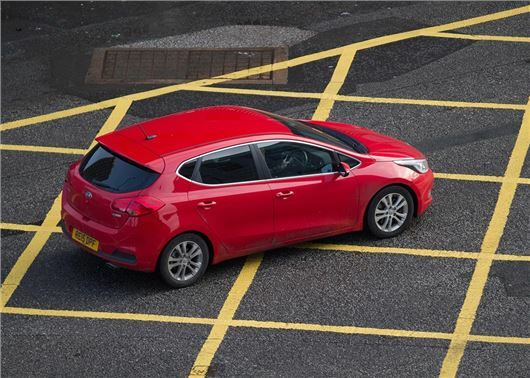 Thousands of motorists could be forced into paying fines for traffic offences they didn’t commit thanks to a clause being enforced by Transport for London (TfL) for cross-hatch yellow box offences. TfL is using a loophole created by the 2003 decriminalisation of the Transport for London Road Network to chase owners of vehicles, rather than their drivers, for payment of fines relating to traffic contraventions on the capital’s Red Routes. Under the London Local Authorities and Transport for London Act 2003, TfL was granted powers to pursue the registered keepers of vehicles causing obstructions on over 300 miles of the capital’s roads, principally to issue charges for parking infringements, which are a civil rather than criminal offence. Since the decriminalisation of the Transport for London Road Network to include box junctions and bus lanes, the Metropolitan Police Service has been enforcing traffic regulations under a special service agreement with TfL using traffic wardens, manned and unmanned cameras and Police Community Support Officers to enforce regulations in yellow boxes, bus lanes and all red routes. One yellow box camera in Fulham raised over £2.4 million from contraventions, while over £100 million in fines has been collected via the capital’s yellow box cameras since 2004. Because yellow box contraventions aren’t considered to be criminal offences, the standard legal process does not apply, meaning that the person pursued for the charge has no right to defend themselves in court, and if they don’t pay up could end up with a County Court Judgement or recovery action from bailiffs. Research by BBC One's Inside Out programme found that, in 2016 alone, one yellow box camera in Fulham raised over £2.4 million from contraventions, while over £100 million in fines has been collected via the capital’s yellow box cameras since 2004. HonestJohn.co.uk contributor Craig Cheetham received a Penalty Charge Notice for a yellow box infringement on Euston Road in the Borough of Westminster in April 2018, but despite the fact he wasn’t driving the car and could prove he was in a different country at the time of the offence, TfL is continuing with proceedings to recover the charges, which have risen from £65 to £195 after his appeal was rejected. “My car was on loan to a friend whose own is currently off the road,” said Craig. “He was visiting London for work and pulled into a box junction to allow an ambulance across the junction. But thanks to the London-only ruling, which makes blocking a yellow box a civil rather than criminal offence, TfL says it’s the owner of the car that is responsible for the obstruction as it is their property that is causing the blockage, not the driver, regardless of where they were at the time of the offence. Craig has since sent his appeal to ‘London Tribunals’ based in Nottingham for adjudication, while the original PCN was issued from a central office in Darlington, Co. Durham – both companies employed by TfL to carry out administrative duties despite not being based in the capital. However, if the adjudication fails, as expected, he will have 28 days to pay the fine or face action from bailiffs, who would be given the right to remove property to the value of the fine plus any fees from his home, despite the fact he has proof he wasn’t driving the car. TfL were approached for comment on more than one occasion while this story was being prepared but have yet to respond. Surely there are two separate issues here. 1) He owns the car, but wasn't the driver ("My car was on loan to a friend whose own is currently off the road."). Not much of a friend, if the driver refuses to take responsibility & lets the owner pay the fine. So, no sympathy there. 2) However, full sympathy for the cause of the offence - moving into a yellow box to allow an ambulance through. If the various authorities & emergency services don't get their act together & withdraw claims in such circumstances, then I can see the situation where drivers refuse to budge for fear of incurring a fine, leading to unnecessary deaths. Why can't TfL move first on this? Most unfortunate. HOWEVER...I have little sympathy , as passing a red traffic light--To allow an ambulance to pass- is also an offence. Therefore he should have done as most of us do. Police car - OR ambulance - just sit tight and dont move. They dont like it - tough. They made the rules - now suffer the consequences. "Just make the abulance sit and wait"! I do hope it is You that is in the next one and they are 30 seconds late getting you to IC to resucitate. Do you not know that someone's life could be affected by your actions. Lets hope if you have a heart attack or a stroke that there isn't another driver in front of the ambulance like you as you could die. I have known about this for some time regarding being fined regardless of which emergency service you moved out the way for yet I have been in a life and death situation when travelling by ambulance as has my girlfriend. I think this must be one of the moral dilemmas of modern times. Personally I think some compassion should be shown by the authorities. I would go to jail over such an issue except that doesn't happen. They send the bailiffs instead to take your possessions. TFL ARE LIKE LEACHES LIVING IN A NAZI STATE... AS I TOLD THEM WHEN I HAD TO PAY FOR BEING PARTLY IN A YELLOW BOX. WHY CAN`T THEY HAVE A SYSTEM WHEREBY A `FIRST OFFENCE` IS A WARNING. SUBSEQUENT OFFENDERS THEN PAY. These schemes run by incompetent, revenue-chasing, corrupt councils with the law's blessing are just another example of a modern UK society that criminalises the decent, hard-working, law-abiding tax-payers of this country whilst letting true criminals do what they like (i.e. traveling around in cars with false number plates on). I despair at the lack of common sense and the appreciation from councils (and the law) that they should be serving the public interest, not making decent people's lives a misery. I can list dozens of times when entering a yellow box or bus lane was the only option to avoid an accident / obstruction or assist the emergency services, but those circumstances are completely ignored by the people operating these dubious schemes in their quest to generate huge amounts of money to pay for their undeserved salaries and lucrative public sector pension schemes.